Chronalogical list of the most significant villains. If you feel we have missed an important villain from the list, let us know. 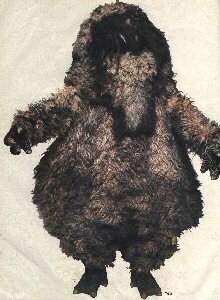 A wild animal on the planet Peladon which was hunted to the point of extinction. 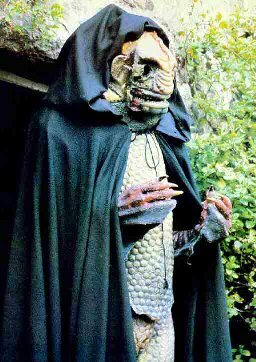 It is considered the Royal Beast of Peladon where legend says that when Aggedor returns there will be great danger. Featured with Jon Pertwee's Doctor. 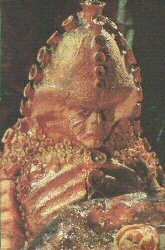 Living plastic, brought to life by the nesterine consciousness, a disembodied alien entity that has made several attempts to conquer Earth. The consciousness has the ability to bring any form of plastic to life. 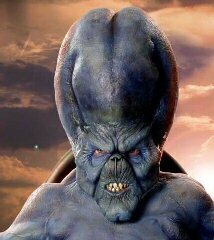 A parasite race Intent on absorbing the Earth’s energy, these vast tentacled aliens disguised themselves as bronzed humanoids and, to gain peoples’ trust, offered to end world famine with "Anonite". They get to Earth due to the Master being captured by the Axons. Featured with Jon Pertwee's Doctor. 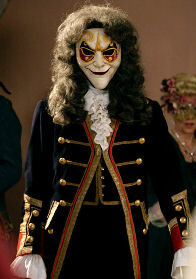 A demon that existed before time itself existed. It was imprisioned in a pit on a planet orbitting a black hole. 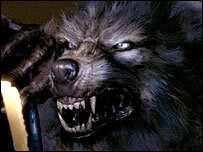 The Beast tries to leave the prison by possessing people. It is defeated when Rose destroyed the possessed body. Featured with David Tennant's Doctor . A dangerous being that thrives on evil and darkness. 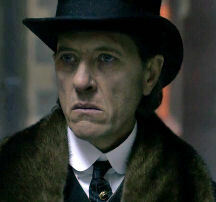 He manipulates people and does not act directly, but through his agents. Featured with Tom Baker and Peter Davison's Doctor. A small stone statue brought to life as a servant to the Master in his quest to gain the power of the Daemons. The Brigadier gave one of his best lines tackling Bok, "chap with the wings, three rounds rapid fire". Featured with Jon Pertwee's Doctor. A Time Lord who held various positions within the high council on Gallifrey At first a kind and gentle man and a friend of the Doctor who sought immortality and was punished as living stone. Featured with Tom Baker and Peter Davison's Doctor. 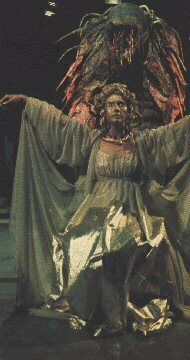 In their true form the Carrionites are hideous wraiths but can appear beautiful. 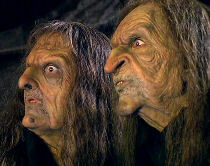 They brought the legend of witches to mankind Featured with David Tennant's Doctor. To prolong their lives they used all kinds of things for spare parts including biological living parts, but they were missing some brains. They linked to old Earth to get their parts when their was nothing left to use on the ship. Featured David Tennant's Doctor. Decimated by disease the inhabitants of Mondas used surgery to cybernetically augment limbs and organs. As their last vestiges of flesh were lost so were their emotions. 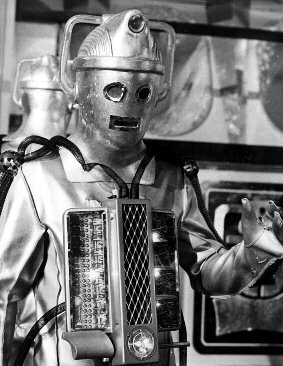 The Cybermen have been an enduring enemy of the Doctor and featured with many of his regenerations. 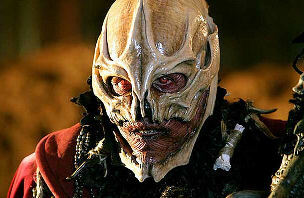 The Doctor’s greatest enemy, the self-professed masters of the universe. 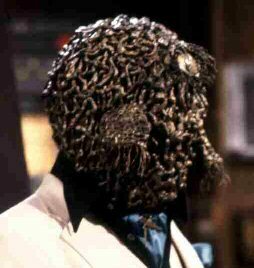 Every Doctor has encountered the Daleks and it is these monsters that destroy the Time Lords and are unstoppable in the universe, despite the constant knockbacks and delays from their only predator, the Doctor. Featured with every Doctor. The evil genius that created the Dalek. 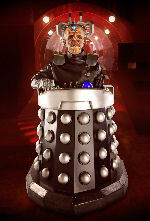 Davros was obsessed with the survival of his race following centuries of war. 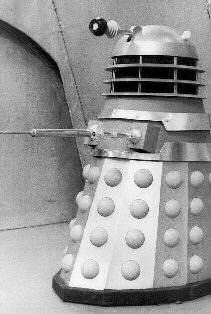 He decides to make the Daleks pure instinct to hate all life, to have no pity and to either destroy or enslave all life in the universe. 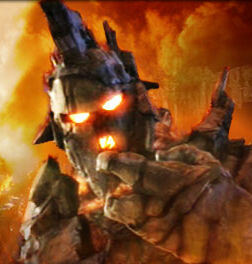 A chained beast in the episode "Battlefield", with blue skin and horns. Featured with Slyvester McCoy's Doctor. An intelligent civilised and hourable race of reptilian creatures. In the 26th century there were Earth and Draconian empires at war and the Master and the Daleks attempted to cause another war between the two empires. Featured with Jon Pertwee's Doctor. A 12 million year old skull held the dormant power of the Fendahl. Exploring the skull released the essence of the Fendahl and it took over the body of a woman and, through her, created an army of six foot long slug-like Fendahleens (at he back of the image) to take over the world. 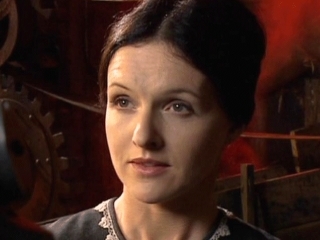 Featured Peter Davison's Doctor. Having lost their bodies in the Time War they exist as a gaseous form, but they want real bodies and have travelled to Victorian England looking for them. 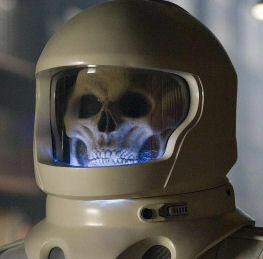 Featured Christopher Eccleston's Doctor. Once human, now dependent on blood and live in the water. At first their appearance is similar to vampires but turn into hideous mutations. Fenric, an ancient evil, uses them to aid his escape. Featured with Sylvester McCoy's Doctor. A religious order who cut off their heads for their faith. Although headless, they are skilled warriors. The skulls are stored in the Seventh transept. The skulls eat rats and intruders. Featured with Matt Smith's Doctor. 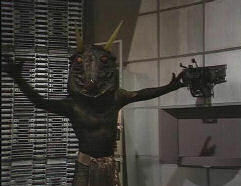 Noble reptilian warriors from Mars who made an attempt to take over the Earth before turning to peace. It was great to see them reappear with Matt Smith's doctor. 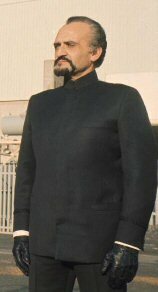 Servant of the Daleks, employed to mis-guide humans in the far future as the hidden controller at a television station in order around Earth. The television station slowly manipulates the people of Earth. Featured with Christopher Eccleston's Doctor . A soldier, or rather Police Officer, for galactic law enforcement. They provide security for the law making Shadow Proclamation. They have imressive technology but not a lot of brains and can make mistakes easily. Featured with David Tennant and Matt Smith's Doctor. They improved their form over centuries by taking on the best characteristics of other races they conquered. In their human form they tried to master time, space and matter. The Krillitanes can use a morphic illusion to appear human. Featured with David Tennant's Doctor. Bulky and somewhat clumsy lifeforms. The Krotons spaceship lands on a primitative planet and following a war they make themselves gods and create teaching machines to educate the Gonds in what they wanted them to know. Featured with Patrick Troughton's Doctor. Deadly carnivorous alien plants with a bulky green form that can expand incredibly quickly to the size of a house. Contact with Krynoids is fatal to humans. One creature was destroyed by UNIT dropping bombs on it. Featured with Tom Baker's Doctor. An intelligent and enormous slime-oozing crustacean that enslaved humans to mine poisonous gas. 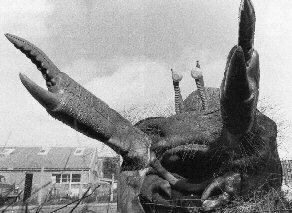 The Macra devolved over billions of years to become mindless beasts with a stong sense of survival. 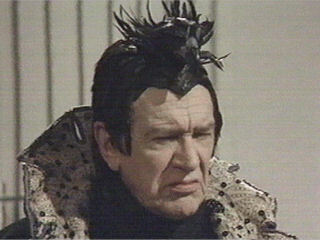 A Timelord whose villainy is without end and whose crimes are without number. Once childhood friends, the Master grew up to become the Doctor's archenemy. The Master turned mad when he was forced to look into the untempered schism. Like the Doctor, the Master stole a TARDIS and went out into the universe, but unlike the Doctor the Master wants to conquer worlds and wreak destruction. 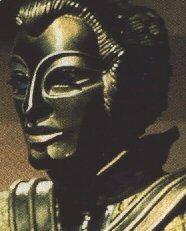 Miss Hartigan forms an alliance with the cybermen in her campaign for women's rights as she is bitter and angry over men's dominance over women and looks to her "knights in shining armour" to liberate her. However, she is shocked when the cybermen make her their cyber King. Featured with David Tennant's Doctor. A race of androids that generally hide the fact that they are not human. 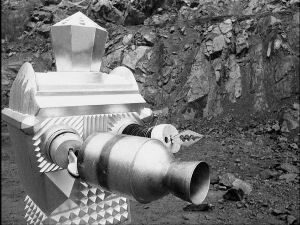 For many years, the Movellans were locked in a war with the Daleks with neither side taking a lead as both were relying on logical tactics. 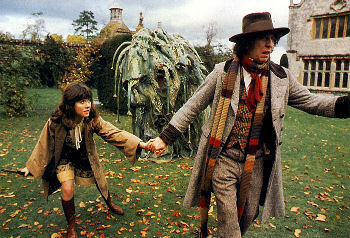 Featured with Tom Baker's Doctor. A Timelord sentenced to obliteration for his evil crimes. 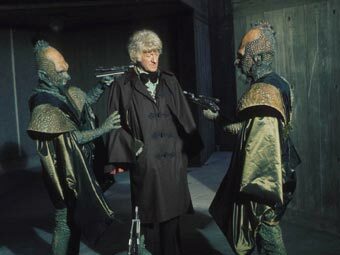 His brain was removed by Solon who intended to implant it into another head so that he may live again, but finding a suitable head was proving difficult, until the Doctor arrived. Featured with Tom Baker's Doctor. Not really an enemy, but not exactly a friend either. Featured with David Tennant's Doctor. The Nimon treat whole populations as their food supply by arriving on a planet, setting themselves up as gods and demanding sacrifices. The Nimon are a technologically advanced race and are able to easily travel between worlds. Features with Tom Baker's Doctor. Large silicon-based life forms from swamp planet Ogros. 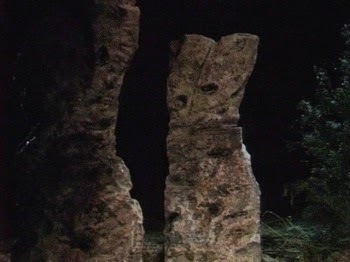 They resemble large standing stones and can live for centuries. 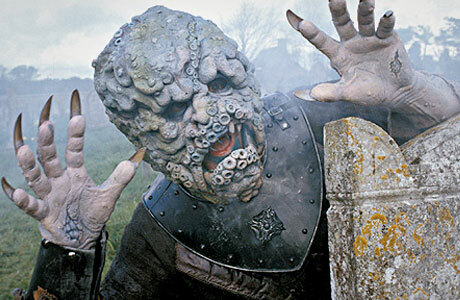 On Earth they lived off blood and can absorb the blood from a human in seconds.Featured with Tom Baker's Doctor. A simple and gentle race that are forced into slavery and sold throughout the human empire. 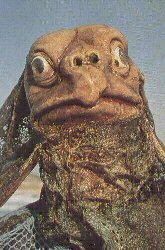 The Doctor sets them free in 4126AD, They are easily controlled by psychic minds, such as the Beast and when they are their eyes turn red letting everybody know that they are. Featured with David Tennant's Doctor. 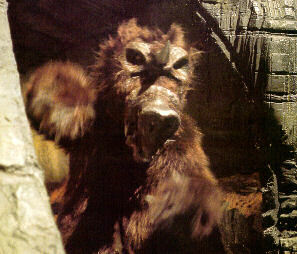 Tall lumbering ape-like creatures with little intelligence who were the servants of the Daleks. They are almost totally fearless and are completely loyal because they have never encountered a force as evil as the Daleks and that is the only thing they are scared of. Featured with Jon Pertwee's Doctor. A famous Timelord who with Rassilon built the apparatus which enables Timelords to travel through time. 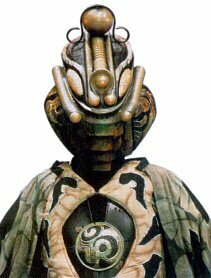 In creating the black hole device Omega was transported into the world of anti-matter where both his power and hatred of the Timelords grew. 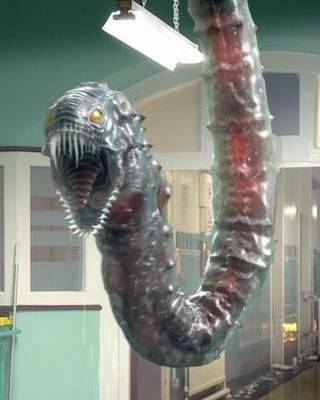 A prisoner of the Atraxi, a gelatinous serpent creature that escaped to Earth through a crack in time, hiding in the house of Amy Pond. A shape-shifting life-form, it can copy the identities of more than one creature at the same time when linked to it psychically. Featured with Matt Smith's Doctor. A ceatue of fire that caused the eruption of Mount Vesuvius and destroyed the Roman city of Pompeii. Featured with David Tennant's Doctor. 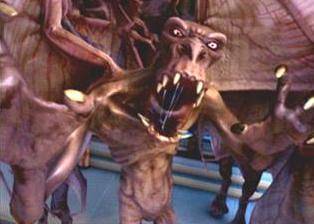 Born starving, the Racnoss are from the dark times during the war with the fledgling empires in the early universe. 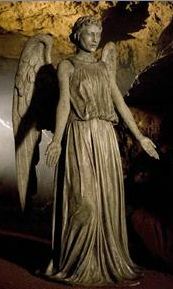 The empress returns to Earth billions of years later to release her children hidden at the centre of the Earth,Featued with David Tennant's Doctor. 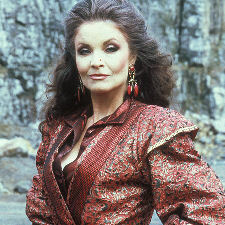 A Time Lady and a scientific genius who was exiled from Gallifrey when one of her experiments, enlarging a mouse, bites the president and eats his cat. 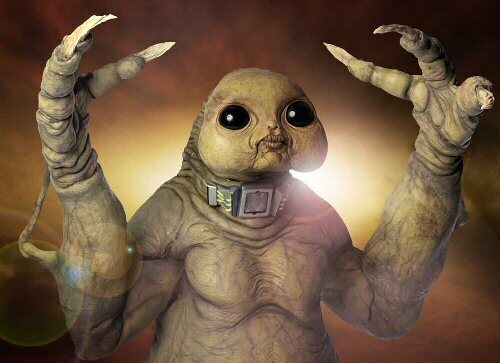 It is unknown what happened to her after the Time War. 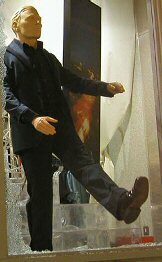 One of the greatest figures in Time Lord history. 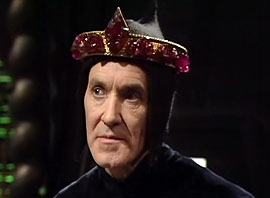 Rassilon was an engineer and architect who brought the nucleus of a black hole to Gallifrey, known as the Eye of Harmony, providing the Time Lords with eternal energy needed for their time travel. 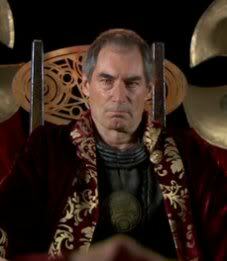 Rassilon was brought back to lead the Time War and his plan was to bring about the end of time with only the Time Lords surviving as beings of consciousness. A being that exists between dimensions that can slip through between them when there is a crack or gateway. The reaper feeds on life. Featured with Christopher Eccleston's Doctor. A poor innocent robot who was finally consumed with power and eventually had to be destroyed. Featured with Tom Baker's Doctor. 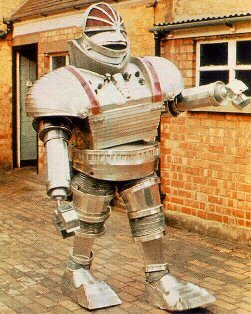 Normal service robots who had been reprogrammed to kill in aid of a madman to destroy infesting humans and create a robot utopia. Featured Tom Baker's Doctor. 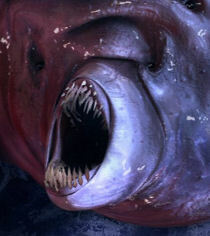 A race of fish-like aliens that drink blood. When their planet is lost to the Silence, they flee to Earth through a crack in time to the 16th century to set about turning it into their new home world. Featured with Matt Smith's Doctor. 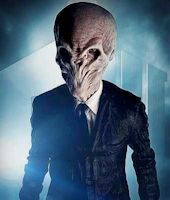 A religious order who are intent on killing the Doctor to prevent him answering the oldest question in the universe, Doctor Who? 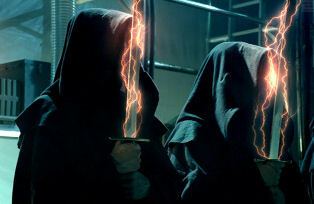 They have made a number of attempts to destroy the Doctor, including rigging his TARDIS to explode. Their main defence mechanism is that you instantly forget them if you're not looking at them. Featured with Matt Smith's Doctor . A very unpleasant family of aliens intent on destroying the Earth in series 1 of the new Doctor Who. They are essentially scrap merchants on a galactic scale. A race of squat muscular clones from the Planet Sontar who thrive on war. 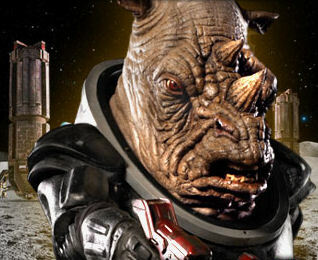 Sontarans live for the honour of battle and have been locked in war with the Rutans for thousands of years. 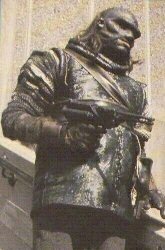 Entire legions of Sontaran clones are produced together in factories, as a result they all look very similar, although they are assigned different ranks. Last of the Osirons. Sutekh is trapped for thousands of years in one of the great pyramids of Egypt. He finds pleasure in destruction and is of limitless power. Arguably the most dangerous individual in the universe. Featured with Tom Baker's Doctor. A race of savage, war-like scavengers who roam the universe ransacking planets of their resources and enslaving their inhabitants. They wear bone helmets. Featured with David Tennat's Doctor. 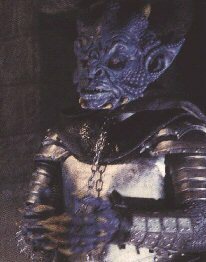 Reptilians who crash landed onto Earth in 1666. They planned to release a lethal plague to attack mankind, but the great fire of London put a stop to that and wiped it out. Featured with Peter Davison's Doctor. 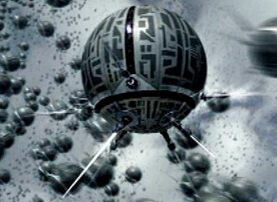 At first sight they appear to be hovering robotic spheres, armed with advanced weapons. However, inside each casing is a shrivelled disembodied human head, for the Toclafane are what the human race will become trillions of years in the future. Featured with David Tennat's Doctor. Known as "the shadows that eat the flesh" they are totally indestructible and feed on any living creature. They are tiny creatures that live in the dark and normally are content to lve on road kill. Featured with David Tennant's Doctor. 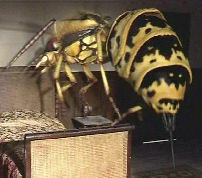 No ordinary wasps! 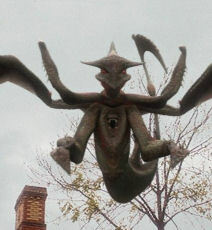 They are 8 feet tall with the ability to shape shift. Their hives are in the Silfrax galaxy, but the Doctor and Donna discover a half-human, half-vespiform vicar murdering people in 1920s England. Featured with David Tennant's Doctor. A dangerous criminal from the 51st century that impersonates a Chinese god when he becomes stranded on Earth after a failed time travel experiment. 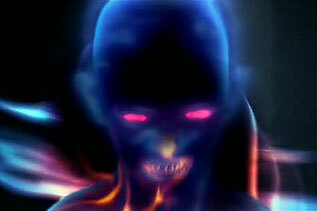 He also brings with him Mr Sin, the Peking Homunculus cyborg, a lethal creature with the brain of a pig. 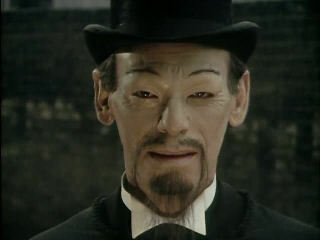 The photo shows his chief agent, Mr Chang. Featured with Tom Baker's Doctor. 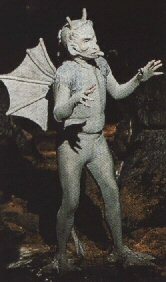 A ferocious shape changing alien that crash landed on Earth (in Scotland in 1540). The creature survives by infecting a succession of humans and hundreds of years later it tries to bite Queen Victoria, who promptly creates UNIT. Featured with David Tennant's Doctor. Insects that incubated their eggs in other life forms. 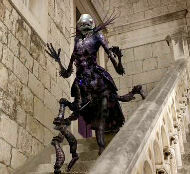 The larvae spread, mutated the host bodies into drone Wirrens which, like ants, live only to protect the queen. They can absorb the knowledge of the creatures that that they feed on. Featured with Tom Baker's Doctor. 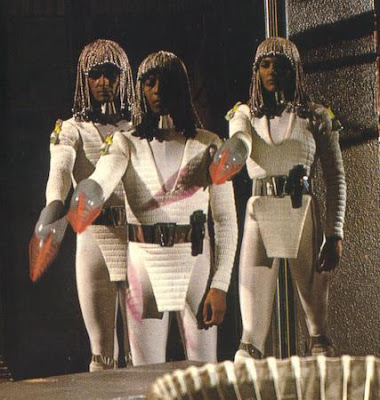 Robot servants of the Great Intelligence, a shapeless cosmic entity. They were best remembered for the invasion of the London underground. 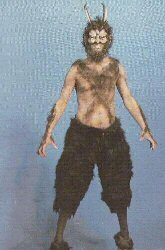 The Yeti were first mistaken for the Abominable Snowmen in the Himalayas. Featured with Patrick Troughton and Jon Pertwee's Doctors. 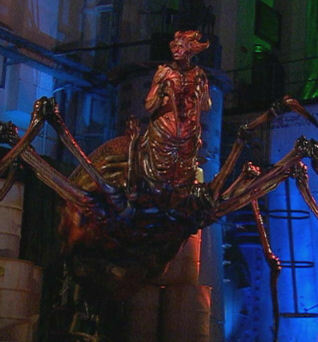 Giant ants enslaved by the animus on the planet Vortis. 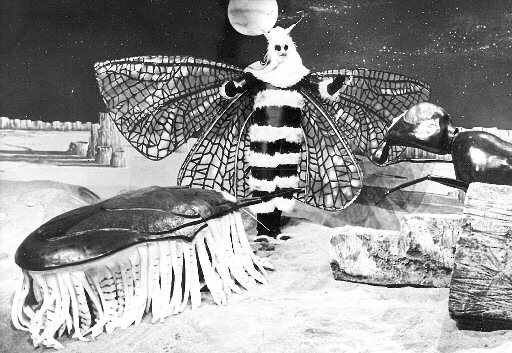 They were at war with a peaceful moth-like race, the Menoptra. The pictures shows the Menoptra, Zarbi and Venom Grub in that order. Featured with William Hartnell's Doctor. 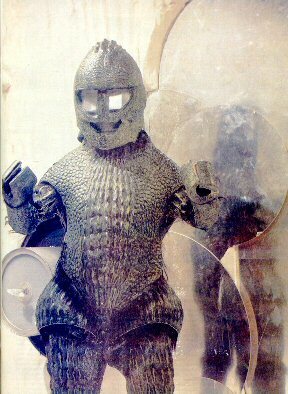 Alien visitors who lived in Loch Ness with the monster which they used as a weapon and for sustenance. 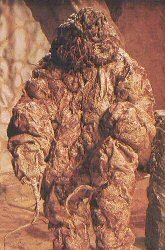 The Zygons can change their appearance at will to look like humans but they need to keep the original alive. They once tried to take over a young Queen Elizabeth I. Copyright © 2016 scifiscience.co.uk. All rights reserved.